The first kinesiologist comes to Vancouver. What Leonardo DaVinci knew about human movement. In celebration of the 2010 Winter Olympics in Vancouver B.C., Her Majesty Queen Elizabeth II has loaned Leonardo DaVinci’s Anatomical Manuscript A to the Vancouver Art Gallery for showing in its entirety for the first time ever. The Anatomical Manuscript A is a collection of anatomical drawings and study notes made by DaVinci in 1510. DaVinci dissected as many as 30 cadavers (unclaimed bodies from a charitable hospital) as part of his study for a treatise on the human body, a work that never came to fruition. 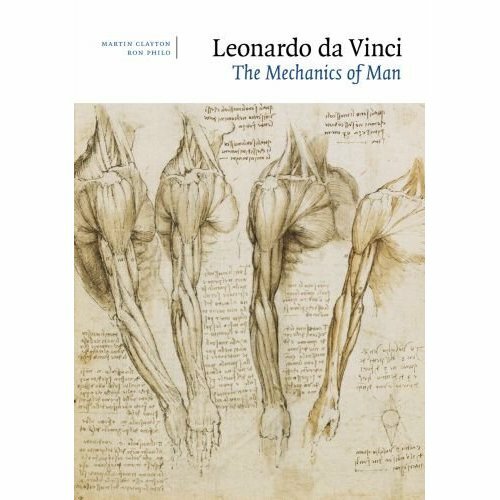 Exactly 5 centuries ago DaVinci’s exploration of the structure and function of the musculoskeletal system produced a knowledge base that would certainly have served as a definitive guide to human movement for centuries to come. But it didn’t. After DaVinci’s death in 1519 the 18 sheets of paper, or folios, that make up Anatomical Manuscript A fell into private possession and were subsequently held in private collection until 1898 when the entire manuscript was published. DaVinci’s mirror image notes to himself throughout the 18 folios reveal an impressive anatomical volume he intended to produce. The following memos demonstrate DaVinci’s phenomenal commitment to detail and his excitement to share his findings (DaVinci, as in Clayton & Philo, 2010). It can only be imagined what modern kinesiology, physiotherapy, chiriopractic and other modalities would be like today with a 500 year head start as DaVinci intended. Although the terminology was not yet developed in his time, DaVinci’s understanding of human movement is clear. The following folio notes describe human movement remarkably similar to a modern textbook (DaVinci, as in Clayton & Philo, 2010). For those not fortunate enough to visit this once in a lifetime exhibition at the Vancouver Art Gallery, Leonardo DaVinci: the Mechanics of Man by Martin Clayton and Ron Philo has been published to coincide with the exhibition. This amazing publication catalogues each folio in full size with DaVinci’s original handwriting accompanied by a second version of each folio complete with english translations on the sheet in the same place and manner as they were written by DaVinci himself. The author’s discussion of each folio makes for an insightful and enriching look into the world and mind of this great artist and anatomist. Clayton, M., & Philo, R. (2010) Leonardo DaVinci: The mechanics of man. London, UK: Royal Collection Enterprises Ltd.. Hot yoga without the puddle. The towel woes of sweaty yogis.